'Suomi' bowl by Salvador Dali for Rosenthal. Porcelain, white, glazed, overglaze in brown with gold. 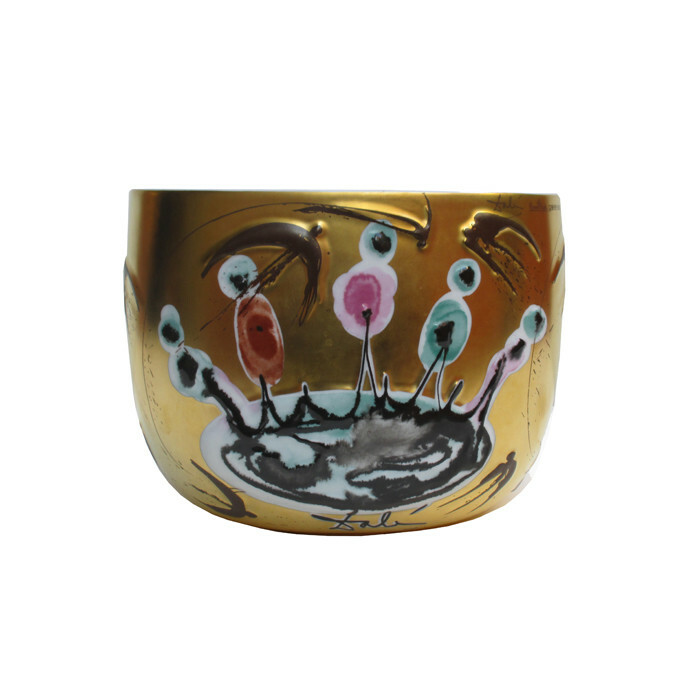 Enamel, stylised figures surrounding a pond, reliefed pattern with stylised birds and Salvador Dali's signature. Marked: Maker's mark Rosenthal LIMITIERTE KUNSTREIHEN, Suomi Objekt Dali. # 320 of 500. Dimensions: H:6½ W:8¼ D:8¼ Inches.